Still cant decide between a solemn updo or a romantic downdo? Take a look at glamorous and timeless wedding hair half up half down options. 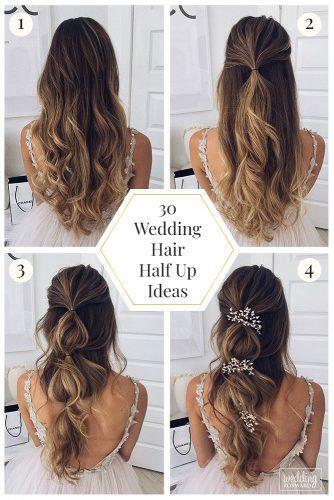 Half up half down hairstyles are perfectly fit for any hair length and wedding theme. Get inspired by balance of simplicity and sophistication in the bridal images.